Webcam "Weather Webcam Almenno San Salvatore "
In Almenno San Salvatore, there is the Webcam Weather Almenno San Salvatore with motif: Almenno San Salvatore. The webcam Almenno San Salvatore is regularly updated with new pictures. 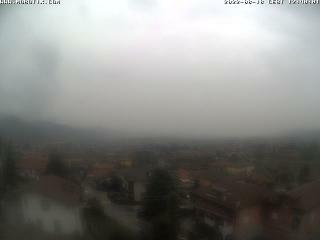 Track the current weather in Almenno San Salvatore with the webcam ALMENNO SAN SALVATORE. Almenno San Salvatore is an Italian town in the province of Bergamo, Lombardy. Almenno San Salvatore lies about 45 km northeast of Milan and 9 km northwest of Bergamo. The neighboring communities of Almenno San Salvatore are Almè, Almenno San Bartolomeo, Paladina, Strozza, Ubiale Clanezzo and Villa d'Alme. Take a look at Almenno San Salvatore via our Weather Webcams! The current live Weather for Almenno San Salvatore is provided by netatmo.